Have a look at your desk. There'll be your computer, stacks of paper (that you'll be getting to shortly), a few pens, a coffee mug. And probably a note pad. Which is probably from some other company. Well we can fix that. 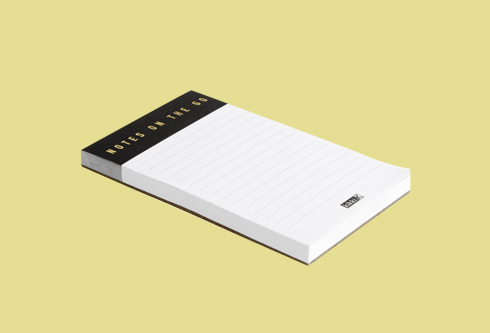 Print your own Note Pads today at Red Heeler. Keep one for yourself and distribute the rest to your customers and prospects. And these ones are 100% recycled. Order during the month of May and receive a voucher for 250 free Economy business cards. Online orders only, order today and get free business cards.